Used test – reliable SUVs: Kia Sportage vs Mazda CX-5 | What Car? In both cars you use a lever to adjust the backrest of the front seats in set increments. This is never as precise as using a dial to set the seat in just the right position. Still, both driver’s seats come with manual lumbar adjustment for perfect posture. There’s plenty of head- and legroom in the front of both, but rear space is more one-sided, because the Mazda CX-5 has more head- and shoulder room. The Kia Sportage’s head room is undoubtedly hampered by the standard panoramic sunroof, although it matches its rival’s leg room. Both boots will accept a couple of large pushchairs, but while the Sportage’s doesn’t swallow a set of golf clubs with the driver in place, the CX-5’s will do so without fuss. In fact, the CX-5’s boot isn’t just taller, wider and longer than the Sportage’s, but it also has a wider opening – and sits closer to the ground, so lifting heavy, bulky items inside is easier. Should you need more space, the Mazda’s spring-loaded rear seats, with levers on the sides of the boot, are the easier to fold out. Once down, they lie flatter, and they also split in a useful 40/20/40 configuration. The Kia’s rear seat backs aren’t particularly heavy, but you have to walk around to each side of the car to reach the levers that fold them, and they’re split 60/40, so aren’t quite as versatile as the Mazda’s. 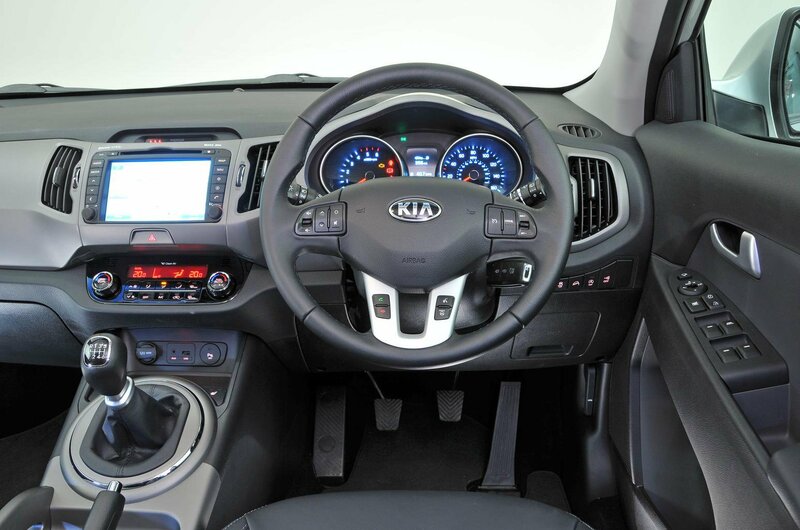 The Sportage we’re testing here is a facelift car, which means it benefits from more soft-touch plastics on the dashboard and upgraded materials in the places you come into contact with. 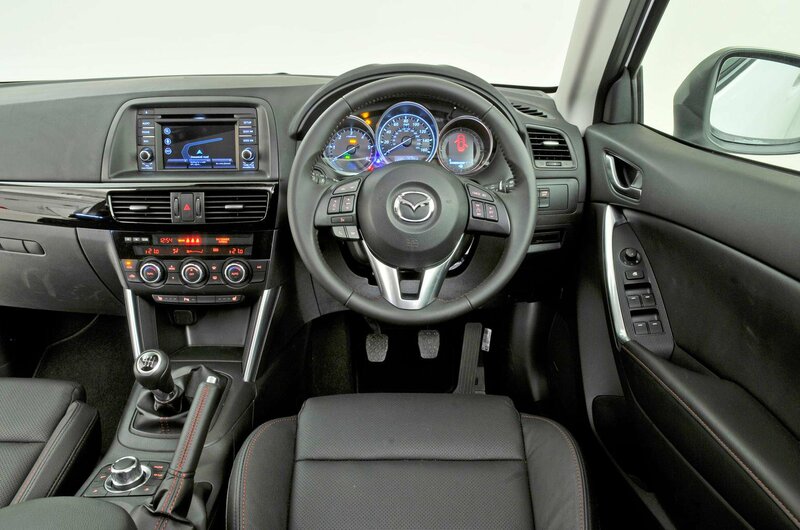 However, the CX-5’s dashboard looks and feels classier still, with glossy black surfaces and plastics that feel sturdier. However, the Kia’s 4.3-inch colour touch-screen system is more simple to use and navigate, because it’s flanked by large, clearly-labelled buttons and features logical menu layouts. The CX-5 gets a larger, 5.8in colour touch-screen, but its graphics look dated and its on-screen buttons are smaller and more fiddly to work with.